This is a project made by Chris with her embroidery machine. 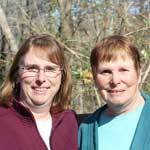 The design was purchased from Sweet Pea Machine Embroidery designs (link below). 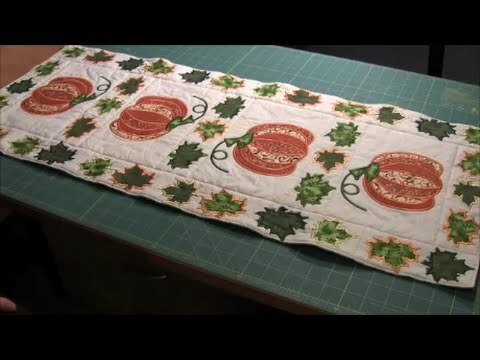 Click to watch the Pumpkin Table Runner video in Youtube. This was a fun project to make on your embroidery machine. 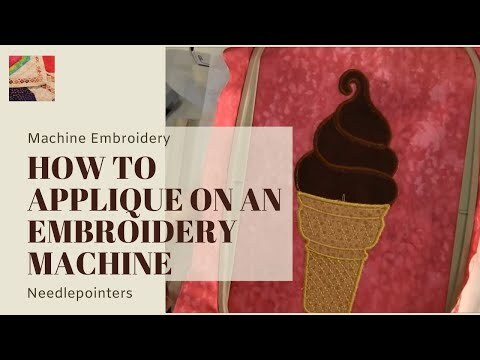 If you want to learn how to do machine applique embroidery, see our video below. Machine Applique embroidery is a fun technique that lets you use fabrics in the designs instead of all thread. 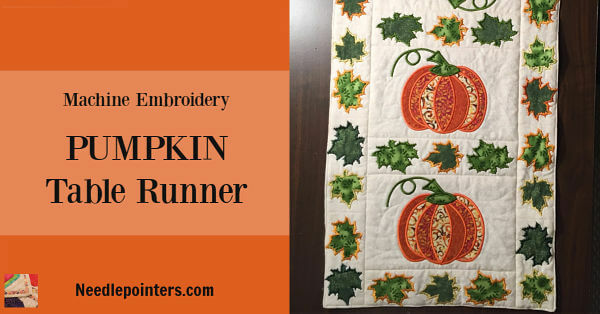 The design is made by embroidering the four pumpkin blocks. The leaf blocks are embroidered separately in groups. The table runner is then assembled with your sewing machine. To purchase the design and some supplies you may need for this project, check the links below. The design comes with full photo instructions and directions when purchased.